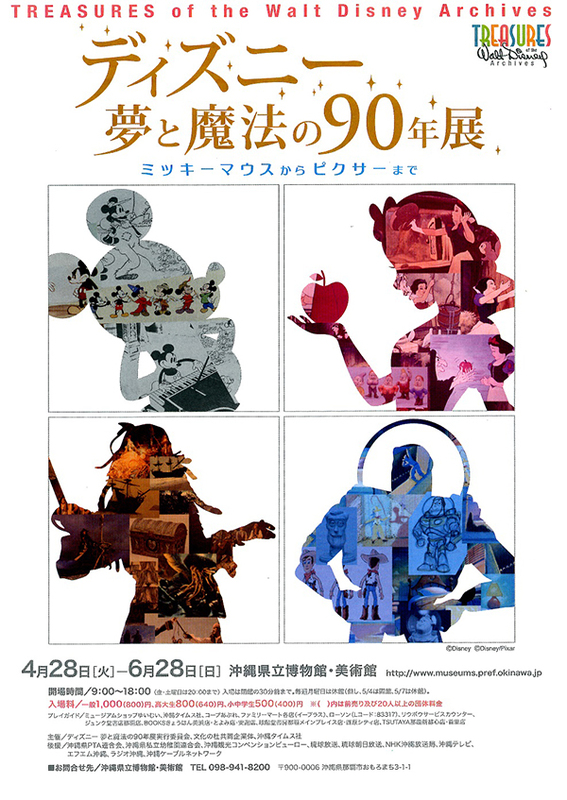 The long-awaited Walt Disney exhibition loved by people of all ages around the world has now come to Okinawa. From Mickey Mouse as preserved in the original Walt Disney Archives to the live-action film “Pirates of the Caribbean,” to Pixar's computer-animated film “Monsters, Inc.,” this exhibition features about 800 artifacts including props, costumes, cel animations, small figures and replicas from Disney’s 90-year innovative history. The Walt Disney Archives were set up to collect and preserve all historical records and archives belonging to the Walt Disney Company in an effort to continue to provide inspiration to the next generations of artists. The Archives were set up 50 years after the Walt Disney Company, originally established in 1923, first brought Mickey Mouse to the public.